Did you know that coffee, when used externally, can help attack cellulite? Crazy right? 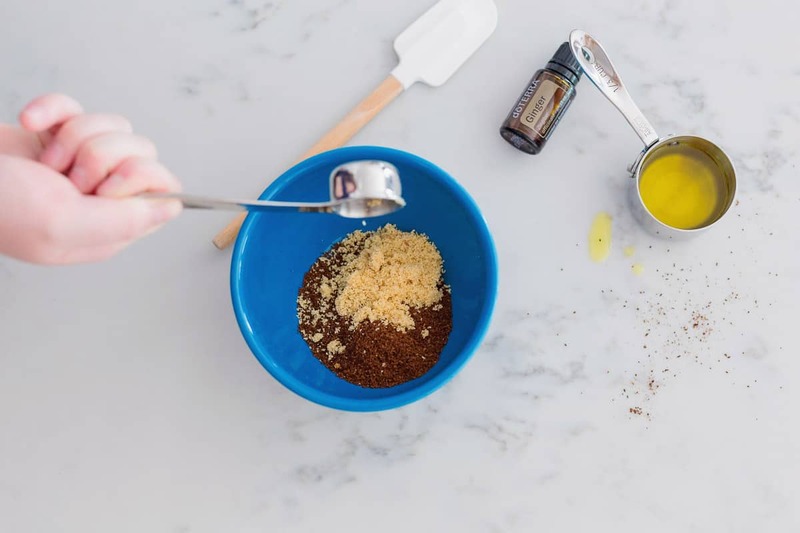 So I thought I’d get in the kitchen and create a ginger coffee cellulite scrub to help us get our summer bodies all ready. Now, I know this isn’t probably a miracle cure, but if it can get rid of even one of my cellulites (is that a word?) well, that’s a win in my book. 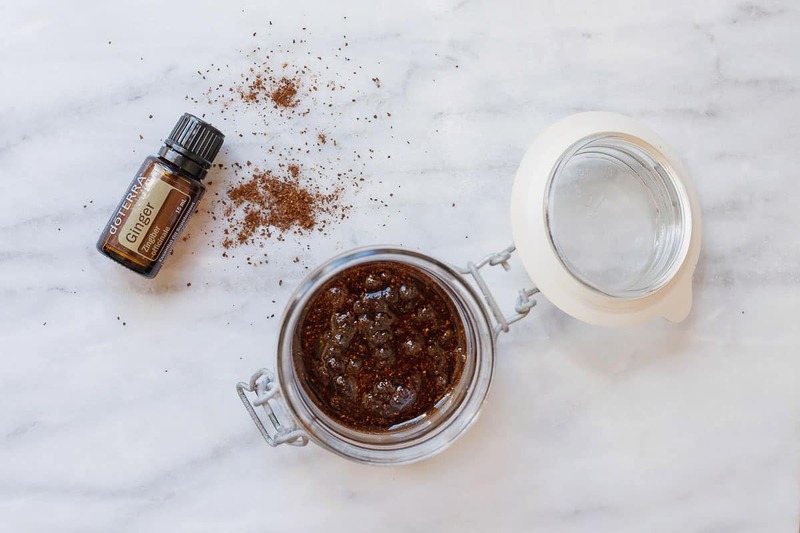 This Ginger Coffee Cellulite Scrub is incredibly easy to make and takes only a few household ingredients. Plus, if you like the smell of coffee and ginger you will LOVE LOVE LOVE the way it smells! 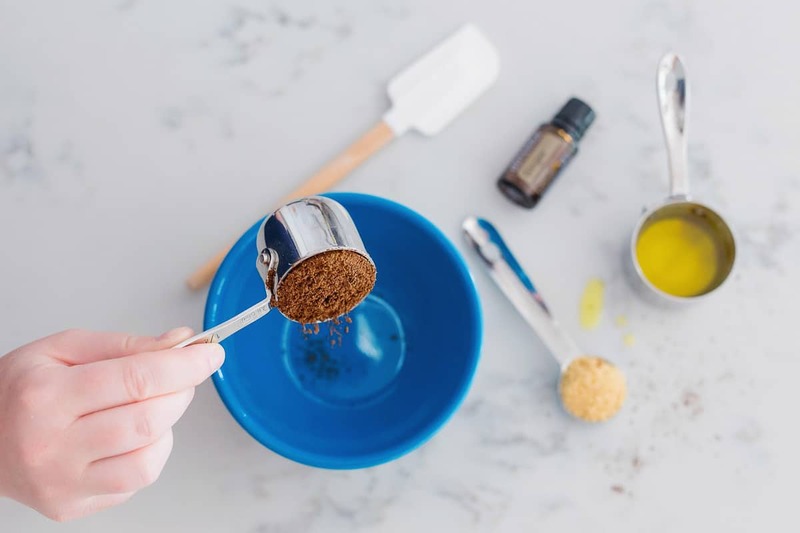 This recipe makes enough for one single use but can easily be doubled or tripled and stored in the refrigerator for later uses. And it’s pretty thrifty too! 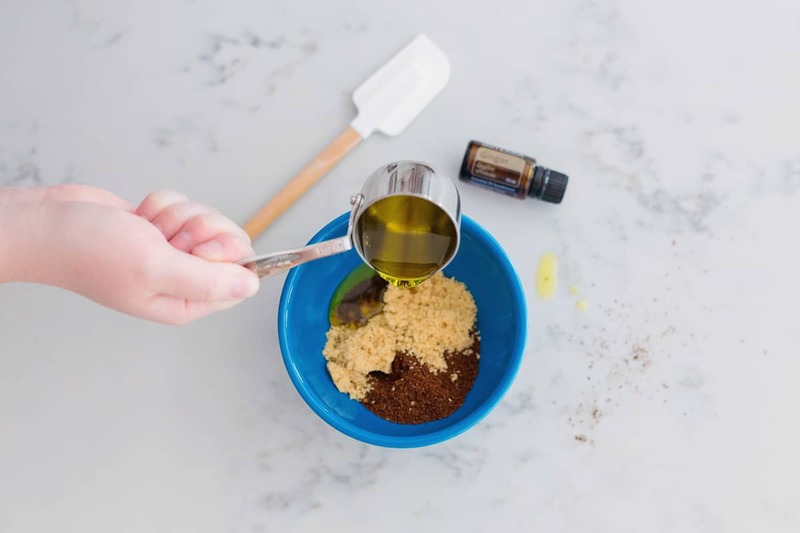 So have some fun in your kitchen and try out this little cellulite scrub. And let me know if it worked for you too! Ground Coffee: Coffee, when used externally on your skin, can help perk up your skin and attack cellulite. 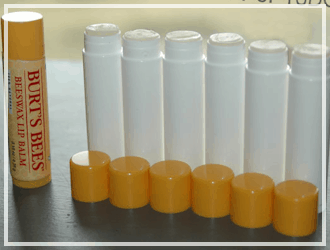 It’s diuretic properties also help to reduce swelling and puffiness. 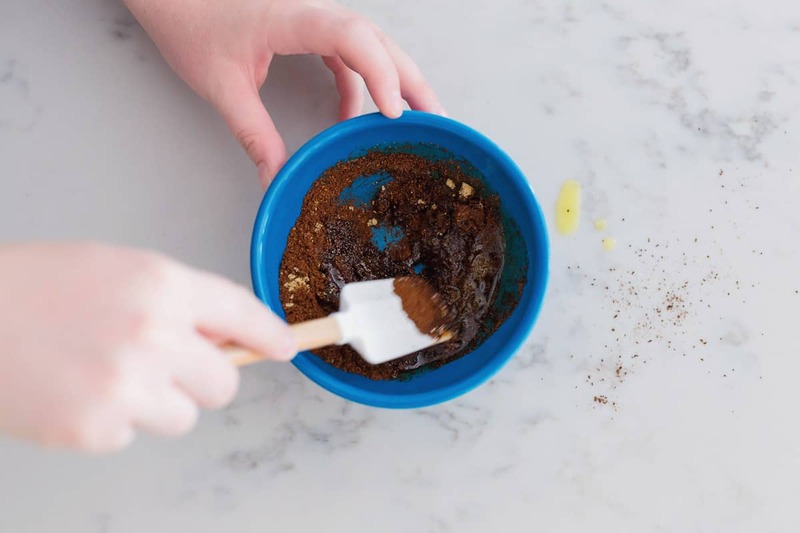 Brown Sugar: The small granules help to gently exfoliate your skin. Olive Oil: One of nature’s own moisturizers. Olive oil helps to smooth, soften, and give a glow to your skin. 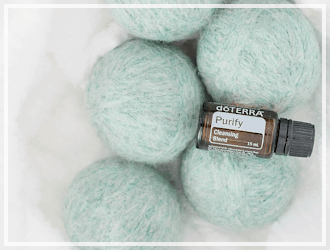 Plus, it helps your body stay silky smooth. Feel free to replace olive oil with any other carrier oil in this recipe. 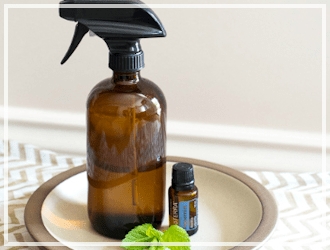 Ginger Essential Oil: Ginger essential oil can help break down fat and speed up digestion. 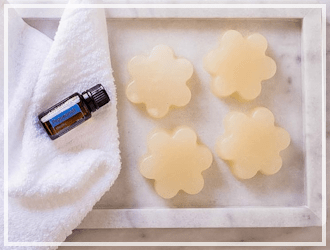 It can also help to detox your body, improve your skin’s appearance, and encourage cellulite reduction. 1. 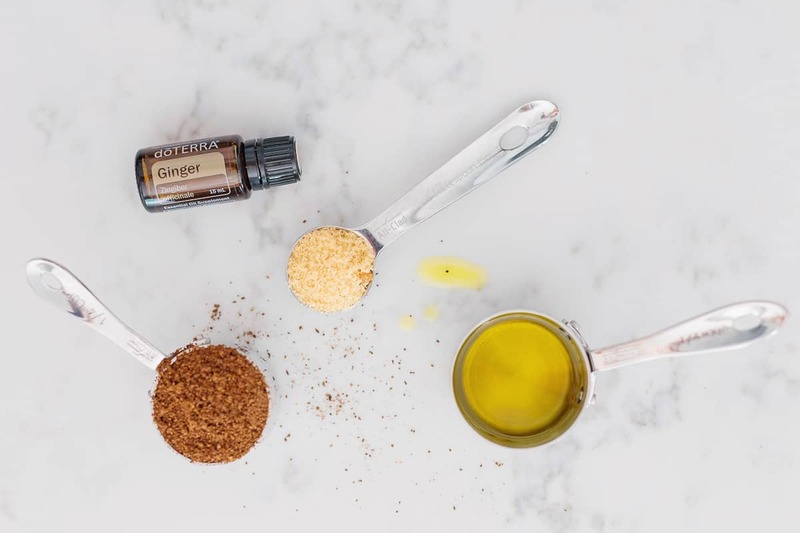 In a small bowl, add ground coffee, brown sugar, and olive oil. 2. 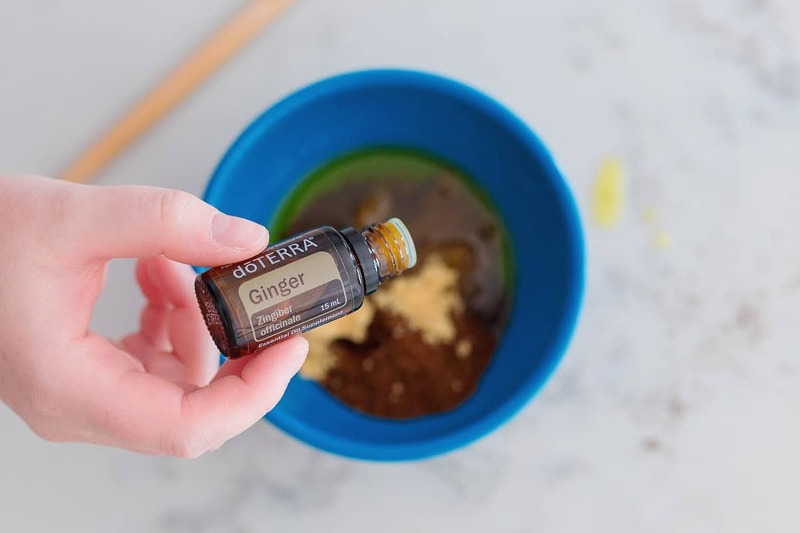 Add Ginger essential oil and stir until well combined. Store in an air tight container. 3. 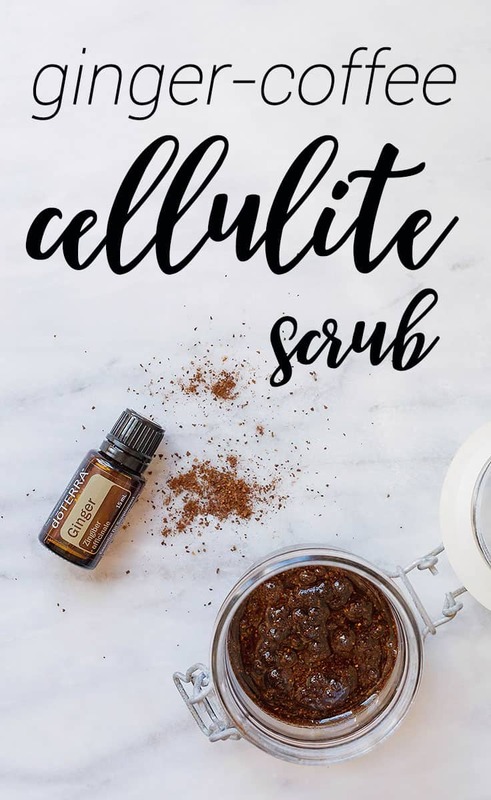 To use, put a generous amount of scrub on cellulite and rub in circular motions until the sugar dissolves. Rinse with warm water. As long as no water gets into the scrub, it can be stored in the refrigerator for up to three weeks. this is a great recipe. 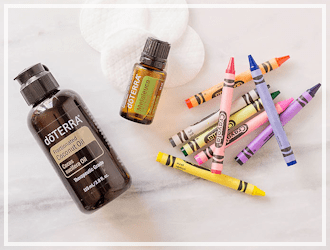 I love my doterra oils too. I used a different coffee scrub and didn’t get results. SO I’m going try this recipe for sure. I usually use in shower. Have you found there to be plumbing problems with this going down the drain? Just wondering.